So Much Candy is a 5-reel slot themed around candies. The game is played over 25 fixed win lines, with up to $100 accepted per spin. 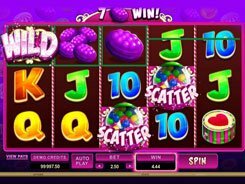 Offering a scatter, free spins and a fixed jackpot of $64,000, the slot boasts an exclusive Much More Candy feature that boosts winnings sky high. The symbols set includes five types of candies and playing card symbols from 10 to Ace. 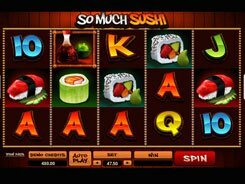 The free spins feature is triggered by three or more scatter symbols. 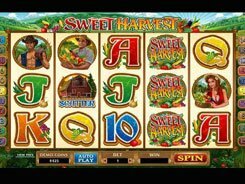 Once the feature gets activated, there are five options you can choose that differ in the number of free spins (up to 16) and a multiplier value (up to x5). The maximum potential win in the feature reaches a staggering 160,000 coins. 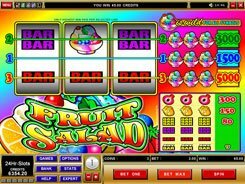 The main attraction in the slot is perhaps the Much More Candy feature. 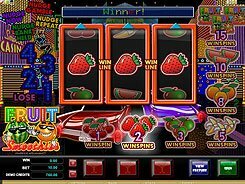 Whenever you roll up a winning combo that involves 3, 4 or 5 candies, each candy in that combo will split into 1–5 of the same symbols, so a resulting combination can total up to 25 identical candies that pay out a maximum of 16,000 coins or $64,000 if placing the top bet.